Artist Robert Cenedella, who’s known for his tongue-in-cheek, satirical creations like the painting of Donald Trump, has filed a class-action lawsuit against some of the world’s most notable museums. According to Hyperallergic, Cenedella named “Metropolitan Museum of Art, Whitney Museum of American Art, Museum of Modern Art, Solomon R. Guggenheim Museum, and New Museum of Contemporary Art” as culprits in his 81-page filing, saying that they had participated in an “unlawful conspiracy” to exclude him and “innumerable other deserving artists” from being featured. 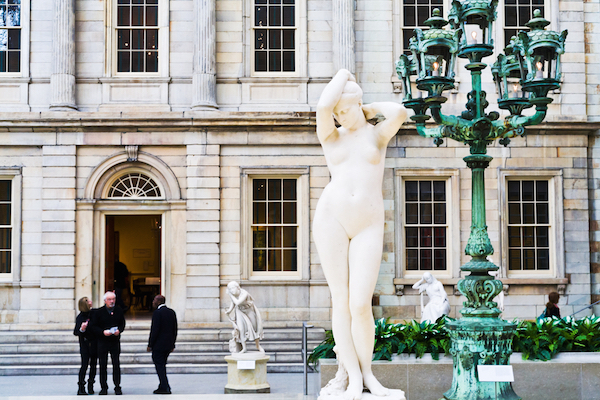 Asking for US$100 million in damages, Cenedella reasoned that the “corporate museum cartel” would be able to manipulate the contemporary art industry while jacking up prices of their own exhibits. The artist’s lawyer, Robert Hantman, told Hyperallergic that he would not describe the lawsuit as satire or a work of performance. While these galleries are nonprofits, Hyperallergic explained that the value of artworks would increase as creatives gain recognition.